One of the things that people have heard about the Philippines in the last months, besides the earthquakes, typhoons and floods, is the new Philippine Miss Universe. When I arrived in the Philippines one of the first things that I heard about politics was the People Power in 1986, a non-violent revolution that had as a result the election of a woman as president of the country. This event, for me, is every time more common in the west but was rare for it to happen in Asia. I realized that women have an important role in this society. Later, when I had the opportunity to prepare a research paper I decided to know more about the role of women in the country where I am living and I found a lot of interesting elements that I want to share with you and surely you will find also relevant. The most interesting things I found out belong to the pre-hispanic period of the Philippines, before the year 1521. At that time, there are evidences that women could divorce their husbands paying back the bride-price and the cause could be anything. After the divorce she could mangage a property, money, run business by her own and remarry again. For women, virginity was not a requirement for marriage and adultery was not cause of punishment for them. In the religious aspect at that time, women had a central role. The principal religious authority was called “babaylan” a tagalog word that means “only women” (babae lang). This ministry was performed by women almost exclusively. In the case that men wanted to act as ministers, they could do it, there was only one thing they needed: dressing like women. The play of this role may be one of the factors that enabled women to also become political authorities in the local administrative units called barangay. The situation changed a lot with the arrival of the Spanish people who were somehow shocked by the freedom the women had. With the colonization, also the role of women started to be different until adopt what could be a traditional role. Commonly, this role is identified with Maria Clara – a character from the novel Noli Me Tangere (1886) written by Jose Rizal – who is a loving, reserved, gentle, loyal, chaste, and beautiful woman able to sacrifice herself for her family. Even the Spanish schools prepared women for this kind of role. As mothers, women are supposed to have not only a good behavior but a perfect one because they are the pattern of conduct for the entire family, especially for their children. This gives them a great authority in the moral and religious aspect of the family. Because of the closer relation with their mother, children keep very tied to their mothers even when they are married. The duty of the mother are the household chores and the children. Specially when the families are big, the oldest daughter (called ate) helps the mother in her responsabilities. With the 20th century and the American rule and then the independence, the women’s role began to take new directions specially after 1975, when the United Nations launched the International Women’s year. 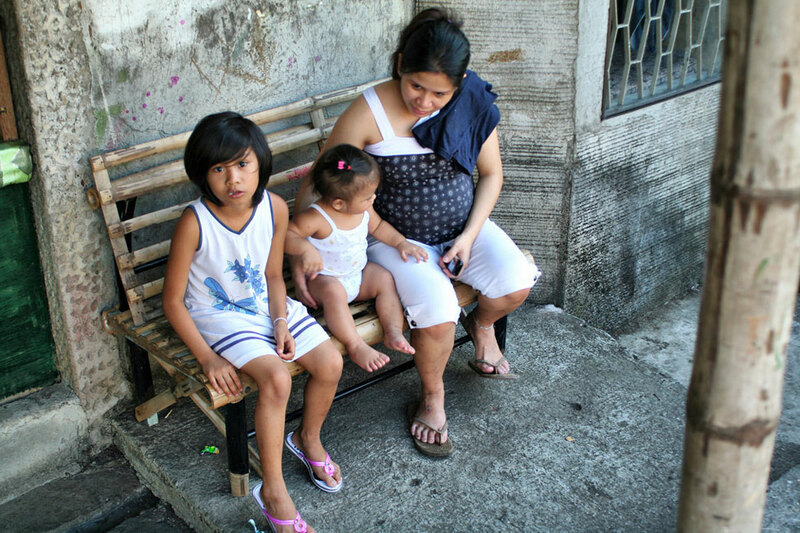 In the Phillippines, efforts to give more opportunities to women took place in the laws. As fruit of this, Philippines has the third place in women’s socioeconomic, standing only after New Zeland and Australia in 2012. The Philippines scored 77.8 points where 100 is perfect for gender equality (over 100 points the prevalence is for women and under 100 for men). In spite of the big achievements, there is a manifestation of gender-related discrimination. Legally, women and men are equal but not actually in areas such politics, and employment. It seems that the stereotypes of women have great influence in these aspects. In conclusion, I think that a greater conscience about the importance and dignity of women in the Philippine society is needed to keep growing in gender equality. The government and institutions are doing their part, however, changes in the structure of families are necessary due to the influence of stereotypes and roles from the culture. As society we need to give a look into our past when women enjoyed the opportunity to show that they were able to work, be leaders, support a family, and take responsabilities just as men do. In accepting this fact we can give a new role to our sisters, mothers and relatives and build a society that recognize the capacities of both sexes. Reflection: What is the role of women and men in your family? Are you able to change in order to give opportunity to everyone? More concretly: Who does the dishes in your house? Reflection: does women’s role and gender equality equally important in the Church? By the way, you may want to drop the initial letter H in earthquakes. Reflection: Is women’s role and gender equality equally important in the Church? By the way, you may want to drop the initial letter H in earthquakes. As your introductory lines go, “One of the things that people have heard about the Philippines in the last months, besides the hearthquakes (earthquake, maybe) , typhoons and floods, is the new Philippine Miss Universe. When I arrived in the Philippines one of the first things that I heard about politics was the People Power in 1986, a non-violet revolution that had as a result the election of a woman as president of the country. This event, for me, is every time more common in the west but was rare for it to happen in Asia. I realized that women have an important role in this society”, how could you generalize that there still exists a stereotyping in the Philippines [where you are currently residing]? Aren’t these things you’ve mentioned are signs of gender equality in politics and role in the society? What are your points that we should look back to pre-hestoric (Spanish) Era? If stereotyping still exists in our country, why are there women doctors, teachers, and other fields of profession? The government and the people [of the Republic of the Philippines] does not limit opportunities to women in terms of political (especially election to any political position and other organizations), religion, employment, obligations, and the likes; same to Spain and most of the countries of the whole wide world where women and men have equal rights and enjoys the same opportunities. In addition, I could conclude that we are far better than other countries in terms of sensitivity to our fellow, regardless of gender and either Philippine Citizen or an alien to our beloved Country. You know why? Because we do not rationalize people. Non-Philippine citizens are welcome in our country and enjoys freedom and being respected. They also practice their professions here and study basic English languages in our country. At least, our country is NOT a RACIST country. We do not need to look back to Spanish Era, women in the Philippines are EMPOWERED nowadays. They have their freedom and opportunities equivalent to men but it is enough to how they use these. Filipino women, nowadays, are entitled and enjoys gender equality than in eras prior to our Independence and after the martial law. … before the martial law, rather. well-researched and well reflected. I definitely agree with you. thank you brother. Ignorance is first slavery, education–first liberation. There had truly been note-worthy advancements in terms of opportunities and status roles for Filipinas. Still, this reality can be seen generally in the urban areas. There are more areas in our country that need more consciousness-raising in terms of gender-equality, self-responsibility and civic responsibility. Ah, so many rich opportunities to understand oneself, humanity and sacredness. Cheers to your missionary spirit. AMDG.